As another year has come and gone, we’re looking forward to analyzing some of the key e-commerce technology trends that will influence online shopping. The progression of global e-commerce is truly staggering. According to a Statista report, in 2017 e-commerce generated profits of around $2.3 trillion and is anticipated to jump to $4.5 trillion by 2021. E-commerce continues to significantly develop, and it’s a total must to stay up to date on the latest e-commerce trends to boost your sales in order to get ahead, stay ahead and beat out the competition. 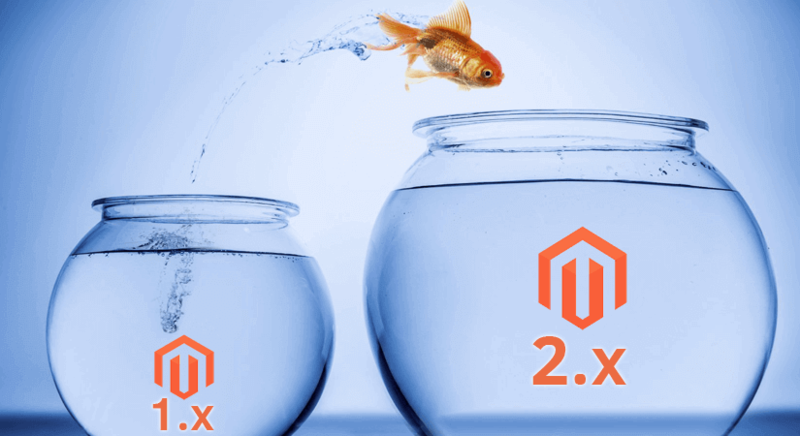 To succeed in the e-commerce world, you really should have three things: useful products and services to sell, the skills to promote them, and an eagerness to try something new. If you have a winner’s mindset, are ready for changes, constantly learning and searching for new ways to gain the customers, this article will definitely come in handy. Let 2019 be a year of action! Our team participates in different e-commerce conferences, exchanges experiences with our colleagues, and uses advanced technologies in our customers’ projects to stay on top of developments in online retail. Whether you’ve decided to set up an online business or want to introduce some changes in an existing working system and improve the efficiency of your company, here are seven of the most important and potentially disruptive top retail trends recommended by our team. They shape the Internet retail market and will continue to have a considerable impact on the digital retail industry for the near future of e-commerce. Customers do not want to get generalized services anymore. Instead, they want digital experiences, tailored to their requests. Machine learning and AI technologies are effective tools for satisfying customer demands. They are the most promising current and future trends in e-commerce. The adaptation of AI to personalize a customer’s journey is becoming very popular. This is a technology that allows e-commerce websites to suggest products specially tailored to customer requests. Smart personalization engines enable marketers to recognize a shopper’s objective and use it as a basis for product recommendation. Gartner forecasts that by 2020, 85% of all customer interactions will be managed by AI. These technologies are being increasingly used by many businesses across the web, from entertainment to clothes, furniture, food, etc. A conversational interface is among the most popular e-commerce web design trends. Chatbots are zeroed in on perfecting how customers interact with a brand. They offer the possibility to communicate with a machine using a natural language. Retail companies distributing products and services are some of the businesses that will derive the most benefit from chatbots. Chatbots give retailers the possibility to provide different content based on a buyer’s wishes in the form of a dialogue. Adopting chatbots will help you remain competitive on the market as they provide companies with great opportunities to perfect the customer engagement process and operational effectiveness by reducing the cost of customer service. A chatbot is an ‘intelligent assistant’ built using natural language processing (NLP) technology and machine learning. It’s designed to perform automated conversations with customers. Chatbots are able to answer simple customer inquiries, suggesting products to buy based on customer preferences and providing general information about the product. 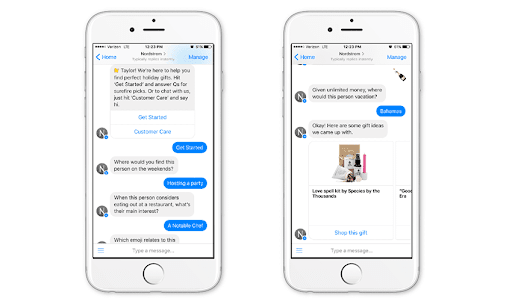 There are various retail companies that have chatbots. One of them is the Nordstrom. Their bot allows clients to find the desired product by asking different questions about their tastes before proposing specific items. One of the most significant e-commerce web design trends in 2018 is augmented reality. Augmented reality is changing the very way people interact with their surroundings. One of the biggest disadvantages of online shopping is the lack of tactile information. Imagine you’re on the market for new sunglasses, but you aren’t sure if they fit you. With the help of Augmented Reality technology, using a simple webcam you’ll be able to try on the sunglasses without leaving your home. Augmented reality overlays 3D images onto a camera-captured video in such a way that objects appear to have an absolute location in the real world. Experts from the world of Internet retail understand the enormous potential of the AR technology to influence buyer decisions. 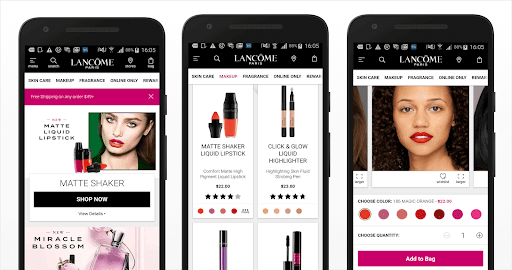 Many leading retailers have been implementing this new e-commerce trend in mobile products and for marketing campaigns, and the results have been astounding. 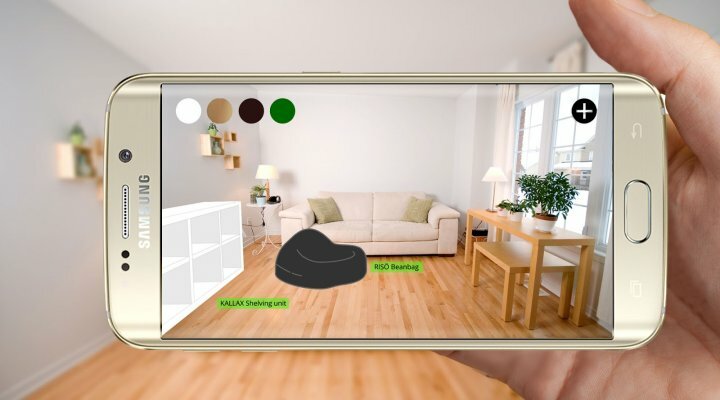 For instance, home-furnishings Swedish company IKEA, has had colossal success with its IKEA Place app for iOS and Android, which gives the opportunity for the customer to see how different IKEA products will look inside their living room. Customers can easily change product attributes such as shape, size or color. AR is a growing e-commerce technology trend because being able to try-before-you-buy is crucial when it comes to making a final decision about products and services. Mobile e-commerce is one of the most pivotal online purchasing trends. 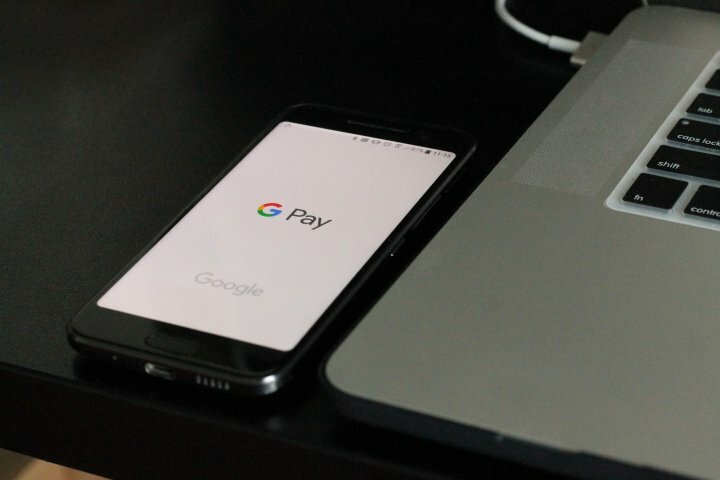 No list of expected e-commerce trends would be complete, without a reference to the significant growth of mobile commerce – particularly, mobile checkout and payment systems. The latest research in E-commerce reveals that customers tend to purchase products and services using both desktop and mobile devices with 49% and 51% respectively. However, in the past, mobile phones were not so commonly used to buy products online. Every year, ever more people tend to spend less time searching for products in the browser. Instead, they’re likely to search for and purchase products using their phones. Thus, the owners of online stores should consider the development of mobile-optimized websites and mobile-based applications. They also should do everything in their power to make their apps appear in the top of search results. Mobile devices will become the key for the Internet retail market as they are used to search, and comparing and purchasing goods and services. Mobile is not just influencing e-commerce but commerce as a whole. A mobile app can allow users to access your brand faster in comparison to websites since applications partially store the data on mobile devices. Mobile apps make the checkout process easier, giving users the possibility to finish purchases with a single click and thereby increasing sales rates. Application development for major mobile platforms can be pretty expensive for small retailers. However, there is a budget version – PWA. A progressive web app (PWA) is a browser-based application that can copy almost all the native app characteristics. Progressive Web Apps are among the best current trends in e-commerce technology because they offer quicker and better user experiences for e-commerce sites. This technology can be adopted by a great variety of devices. George, Jumia, AliExpress, Lancome, and Alibaba are considered to be the most popular retailers that have already implemented PWA. Everyday new PWAs with terrific app-like experiences are being rolled out. Customers expect more, that’s why Progressive Web Apps are becoming crucial trends in online shopping for e-commerce businesses in 2019. PWAs don’t need to be downloaded from Google Play or the App Store, users can install them from the browser. A PWA also functions offline, it has push notifications and works across all devices. You get it all for a much lower cost than a mobile application. This e-commerce web design trend is definitely worth implementing and we highly recommend doing it, as we firmly believe that it will only expand in the upcoming future. It’s becoming difficult to talk about mobile without mentioning voice search. It remains one of the leading drivers of innovation in e-commerce – and not just limited to mobile. By the end of 2021, more than 1.8 billion people will use Voice Assistants on a daily basis. It will offer retailers a great opportunity to get new customers. 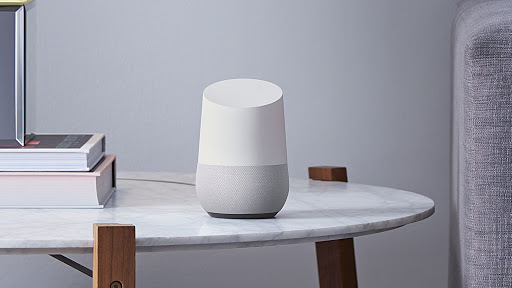 Smart home devices such as Amazon’s Echo and Google’s Home are major developments in the sphere of voice search technology. Voice appliances offer consumers simple, accessible, and fast search mechanisms. Shoppers no longer need to type on their gadgets anymore as they can ask Alexa to find a new red sweater from ZARA. Voice assistants understand customer’s requests better than typical search engines and are more interactive and entertaining. This e-commerce UX trend will definitely impact the way customers search for new goods and services and simplify their decision making while shopping. The integration with existing apps and other smart devices makes voice-commerce one of the most popular trends in online shopping. Subscriptions are a common way to purchase goods and services via the Internet. First of all, it should be noted that in recent years one of the most dominant tendencies in e-commerce has been introducing subscription-based services. Nowadays, subscription-based services are expanding – from electronic devices to clothes, and even homemade products – subscription services are everywhere. For users, subscription services offer an impersonated, handy, and accessible means to order what they want and require. The subscription model offers enormous potential for companies to build long-term relationships with customers by engaging in their daily activities. 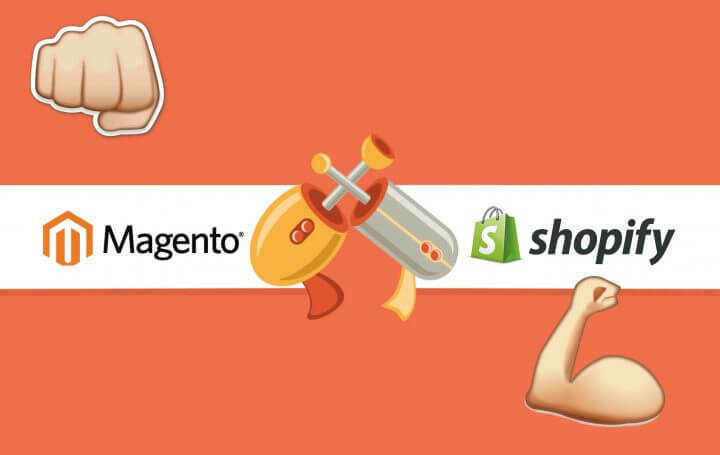 This popular e-commerce industry trend has enticed many famous brands and retailers. 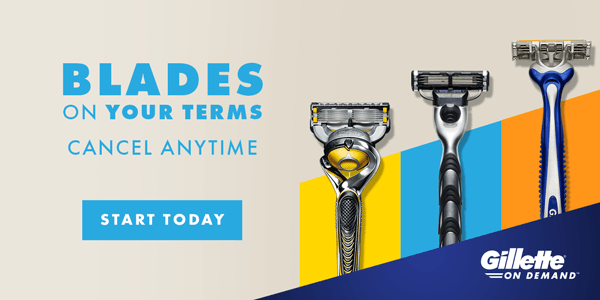 For instance, P&G (Gillette on Demand), Amazon (Amazon prime) have all introduced new subscription model businesses. To sum up, we’ve mentioned what’s trending in e-commerce these days. The end target for marketers is to build meaningful and solid relationships with their customers through different strategies. 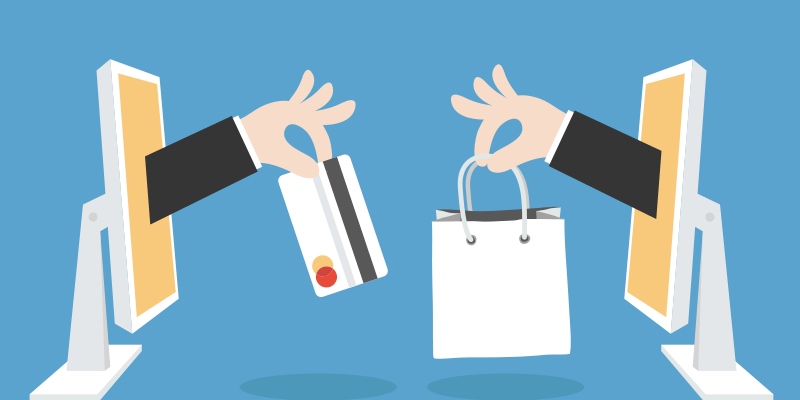 If you implement any of these seven retail e-commerce trends, you have some great odds of achieving your goals, improving conversion rates, and winning new customers. That’s how you can succeed in the rapidly changing commerce world.